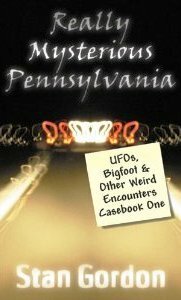 On Wednesday, March 6, 2013 at 7 pm, The Scottdale Writer's Group in association with the Scottdale Library and the Scottdale Kiwanis Club presents an evening with Stan Gordon, UFO and Bigfoot researcher, author and TV personality. We would love to have you come and enjoy the lecture. Stan is a wonderful speaker. I love your website and enjoy being able to create 'mini-websites'. Thanks so much for making it possible! Wow, what a great event. I'm trying to figure out a way that I can travel there and enjoy this event with Stan Gordon. This sounds like a really enjoyable evening. Thank you so much for letting us know about it.